Music: Knowledge, Skills & Understanding, controlling sounds through singing & playing – performing skills, Creating & developing musical ideas – composing skills, Responding & reviewing – appraising skills, Listening & applying knowledge & understanding. Modern Foreign Language (MFL): Our chosen modern foreign language is French. This consists of learning basic vocabulary and playing games and role play using French as well as learning about customs, traditions and the culture of France. Click on the link to see the curriculum for each year group. We are planning and implementing new topics this accademic year and the topics will be added each term. School begins at 9.00 am and finishes at 3.15 pm. 1.25 hours have been allocated to collective worship. Reception and KS1 have 15 minute morning playtime, a 1 hour lunch break and a 15 minute afternoon playtime. KS2 have 15 minute morning playtime and a 45 minutes lunch break. The school uses the Jolly Phonics scheme for teaching phonics. This uses a multi-sensory approach to learning phonics and enables parents to support the children’s learning of phonics at home. In addition the school refers to the DfE Primary National Strategy document “Letters and Sounds: Principles and Practice of high Quality Phonics” when planning and delivering Phonics teaching. The school builds on the Teaching of Phonics to teach the children to read effectively by using the Oxford Reading Tree Scheme which is colour coded according to the children’s development in Reading. This enables the children to choose their own books within their colour band to maintain their confidence in reading independently and to others. We supplement this with books from other reading schemes which have also been colour coded appropriately so that the children have access to a wider variety of early reading books. 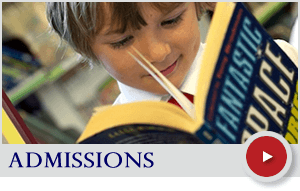 Children are also encouraged to read books from their class library as well as having regular opportunities to choose a book from the school library. The school has recently invested in a wide range of “Guided Reading” sets of book to meet the needs of all levels of readers from Reception to Year 6. These are used by the teacher with differentiated groups of children regularly within the curriculum teaching time for reading and include a wide range of genres. Each class has regular planned opportunities for independent reading in curriculum time. In addition all classes experience a class book or novel being read to the class, with the high quality writing, syntax, vocabulary and other features being discussed. We promote and value the volunteer Reading Buddies who come into school throughout the week to share a book with children from across the Year groups- and especially those children who do not have an opportunity to read with someone out of school. 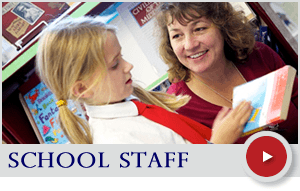 Further information about the Curriculum can be obtained by contacting the appropriate class teacher, the Deputy Headteacher or the Headteacher. Please contact the school office in the first instance. At St Philip’s, we develop the children’s work by helping them to make sense of the world in which they live, starting with their immediate environment. Our curriculum is balanced and broad-based, and we use cross-curricular themes, where appropriate, to ensure effective, relevant and interesting learning. 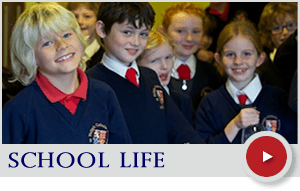 We recognise that all children progress at different rates in various areas of study and activity, and in this respect we cater for individual needs. We always encourage the children to achieve the highest standards of which they are capable in both attitude and performance. At the beginning of each term, Curriculum Plans are sent home to parents outlining what is being taught in their child’s class, key vocabulary and suggested activities that support the curriculum for that term. We ask our children to undertake certain tasks at home, because we believe that homework encourages many positive aspects in children’s learning, and, in particular, their attitude towards it. It also supports the essential need for partnership between home and school in the children’s education. We seek to ensure progression by the introduction of homework early in Key Stage 1. By gradually developing the amount and content of the homework as the children progress through the school, they are adequately prepared for the expectations regarding homework in secondary school. Please read the letter below that explains the Times Tables Challenge for children in Year 2 – 6.